In the discussion about how to save money, several suggested cutting back on face-to-face meetings and using online meetings. One suggestion was Wiggio. Cheryl Pell uses Wiggio with several groups, including a journalism education group. She uses Wiggio to send e-mails and text messages to the group and sharing documents and links. The group site also includes a calendar . 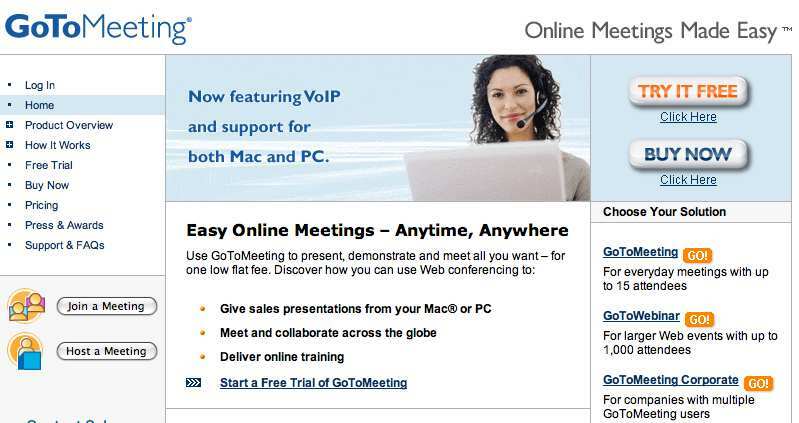 The site many of the group had used is GoToMeeting. My experience with GoToMeeting is with course designers from NewsU when we are working on online course development. GoToMeeting allows several people to “meet” online both with audio and also by being able to work together online — sharing a common screen and swapping documents. Have you heard about Mikogo? It’s a free desktop sharing application that allows you to share your screen with up to 10 participants for free, in a secure and easy to use way. Mikogo is available both for Mac and PC, check it out! Mikogo is definitely a great free alternative for online teaching and it’s already used by a large base of users for this purpose.